Since June 2015, the citizens of 108 countries around the world are eligible to apply for an e-Tourist Visa to India. Holders of Diplomatic passports are not eligible for this scheme, irrespective of country of origin. To be eligible, visitors must be traveling to India for the purposes of tourism or business, for medical reasons or to attend a conference. They must also be holding a valid return or onward journey ticket within the period of validity of their visa, and sufficient funds to facilitate their stay in India. 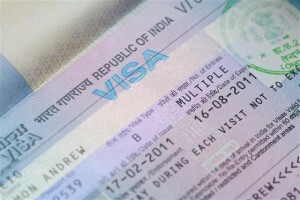 The cost of obtaining an e-Tourist visa online is $157 (USD). This is the same for minors, each of whom needs their own separate visa. The application fee is non-refundable, regardless of whether the application is approved or not. Applicants whose applications for an e-Tourist visa were rejected may still apply for a regular visa at an Indian Diplomatic Mission. Visas under this scheme may be issued to the same applicant a maximum of two (2) times within a calendar year. This process of getting a visa to go to India while sitting at home using the e-Tourist visa scheme has greatly simplified the procedure for applicants. However, the process still takes a minimum of four (4) business days to be approved and for a reply to be issued, so you are advised to plan accordingly. Additionally, an e-Tourist visa will only allow entry into India for a maximum of thirty (30) days from the date of approval, so it is recommended that prospective visitors keep that in mind when planning their travel. Besides the entry time frame, your passport has to be valid for at least six (6) months from your date of arrival in India. Since the entire process is conducted online, there is no requirement to send supporting documents or your actual passport to an Indian Diplomatic Mission as was the case before. However, besides the completed online application form, applicants also have to submit a recent photograph and a copy of the Personal Details page of their passport online to get an e-Tourist visa for India. These have to be uploaded to the website where you apply for the e-Tourist visa. The photo must be in JPEG format, between 10kB and 1 MB in size, and square (not rectangular) without borders. The background must be a plain light or white color with no shadows. The applicant must be facing the frame fully in front view, with both eyes open. The head should be centered in the frame in its entirety with the top of the head to the chin visible. The passport details page must be submitted in PDF format, and be between 10kB and 300kB in size. Once your application, supporting documents and online payment have been received, you will be given a receipt number which will allow you to track the process of your application. Upon approval, you will be sent a confirmation email containing all the details of your visa. It is essential that you print this out and keep it with you at all times during your stay in India. New Delhi, Mumbai, Chennai, Kolkata, Cochin, Bengaluru, Goa, Trivandrum and Hyderabad. They have been chosen because the overwhelming majority of travel international air travel to India is through them.